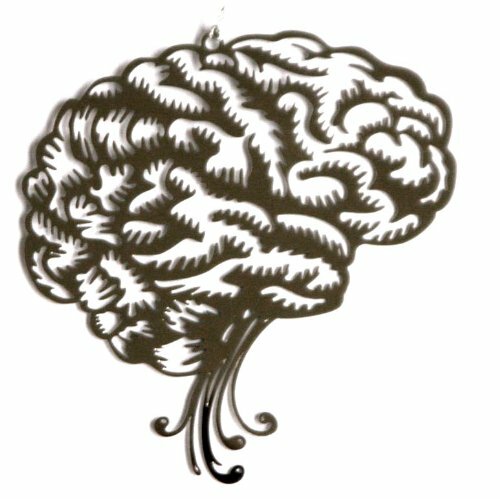 Ever wonder about the parts of the human brain? 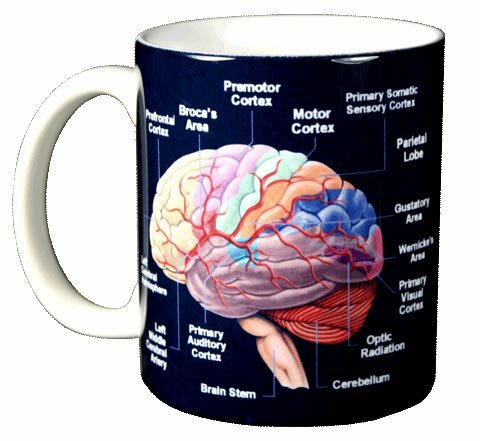 Now you can ponder that miraculous organ while you enjoy your morning cup of joe. 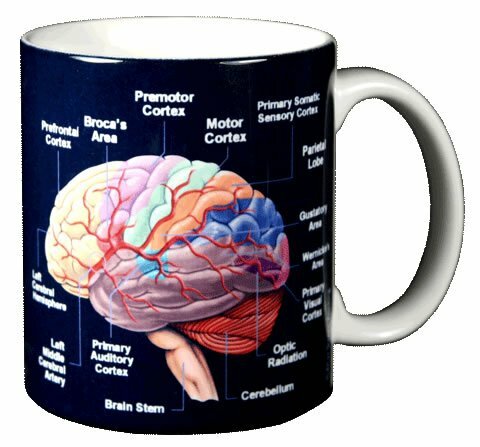 This novelty ceramic mug features a full color picture of the brain with all its parts labeled on the front and the back. The cup holds 11 ounces and is dishwasher safe. 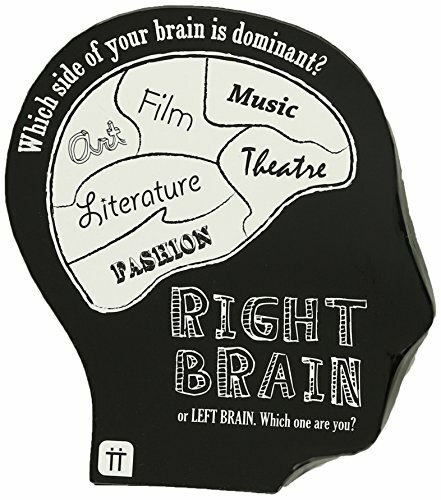 The Brain Mug lets everyone know not to disturb you until your Prefrontal cortex is properly awake and ready for engagement! 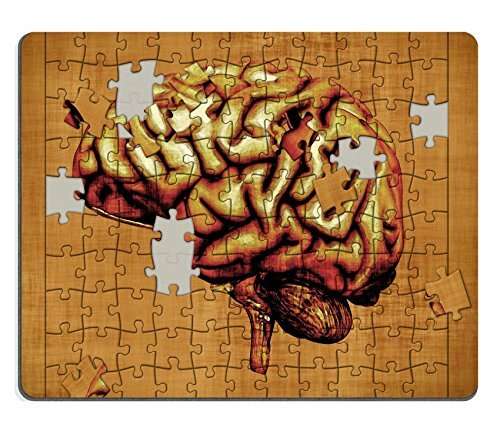 Makes a great gift for anyone who deals with the inner-workings of the brain.